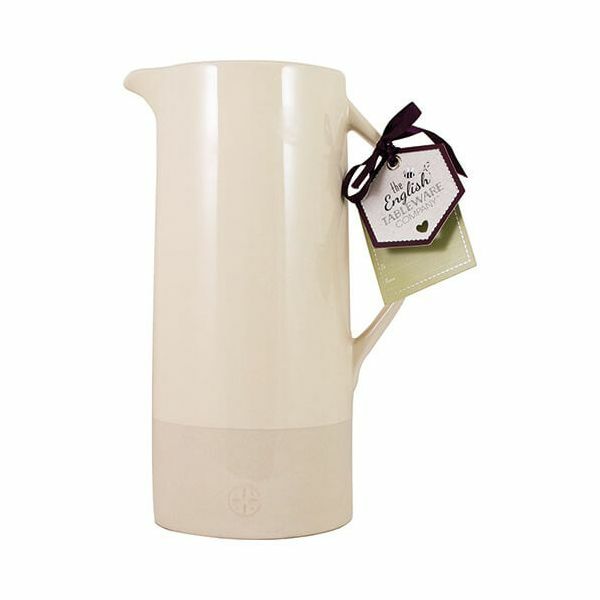 The Artisan Two Tone Cream large jug is made from durable ceramic and hand crafted for this artisan collection. The beautiful two tone design features a gloss cream finish on the top and a stoneware base with a stamp in the stoneware. The large jug is perfect for storing and serving long cool drinks and refreshments to friends and family. Part of a collection this large jug makes a lovely gift. Suitable for use in the microwave and is also dishwasher safe. Dimensions 16 x 10 x 22.5cm.